Texting My Pancreas: The Little Things. Life has so many wonderful pocket-sized joys. And for those things, I'm thankful. 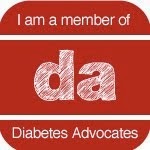 I'm thankful that, despite a couple of lows, diabetes didn't rank very highly on my importance list this past weekend. Delicious food, wine, and dancing be damned - I enjoyed myself. And, in most ways, diabetes obliged. I'm thankful for the sunshine and warm winds of spring. And even for the sunburn and tangled hair that sometimes accompanies my enjoyment of those things. For the strength and endurance of muscles; for the lung power and range of motion that my mostly-healthy body possesses to allow me to enjoy that sunlight and hard-earned sweat. I know these things aren't a given in life for everyone, and I intend to start enjoying them more often and fully than I do now. Both because I can, and because I should. Because I don't want to ever be the little old lady who realizes all-too-late that she should have done such-and-such while she still had the youth and ability for it. For hand-made ice cream, made by the hands of someone else, I am ever so grateful. I'm thankful for the good people who make up my circle of friends and family, and for the time we've been given to enjoy each other's humor, wit, and quirks. For my husband, with the sparkly blue eyes, who truly loves me just as I am; who will chuckle at my faults in lieu of snickering at them; who will do whatever it takes to make me laugh (but never has to try that hard); who will always "love me more", because his wingspan will always be slightly longer than mine when I try to represent, with outstretched arms, just how much I love him. I'm thankful for my mind, and the way in which it processes the world. While I may fear the arrival of kidney failure or vision loss one day, what terrifies me most is the loss of that gift - of what makes me myself - one day. 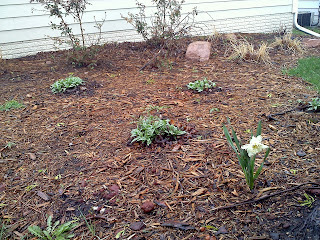 I'm thankful for that one defiant daffodil that grows in front of our house. We didn't plant him there; he invited himself. His presence makes me smile. For the easily-earned affection of a friend's dog; for the soul-healing act of scratching a dog behind his ears and being rewarded with his aloof grin. And always, but especially now, I'm thankful for my grandmother (who turns 95 years old this week) and her wise words - "People have asked me, 'What's my secret for living 95 years? ', and I have to tell them - I don't really have a secret! But if I had to tell you how, it would come down to two things: That with everything you do, there must be love; and that you can't worry about tomorrow. When it's today; think about today. Worry about tomorrow when it's tomorrow - because you never know whether tomorrow will come." So here I am, thinking about those little things. Which really aren't that "little" at all. Awesome, just awesome. "Moments" of awesome from an awesome person. 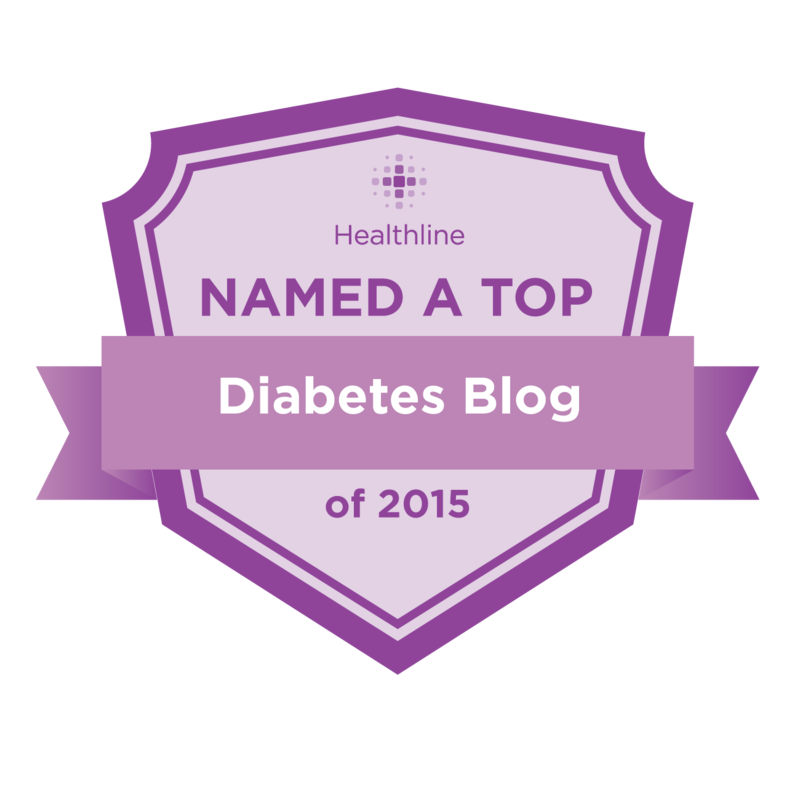 It really is interesting that we can change our "priorities" when it comes to diabetes. Sometimes I feel like if I don't shift them up a little bit every now and then I go crazy!! Your husband sounds so wonderful, I hope every diabetic finds one as great as yours :) Your grandmother sounds amazing as well. Beautiful post!! Gorgeous, simply gorgeous. Your gma is on. point. May we all live that way, or at least try to do so. Awesome post! It is so easy to lose sight of the little things. But its the little joys that truly make our lives great. Thanks for sharing this! Great post! It is so important to remember what the important "little" things are in our lives. 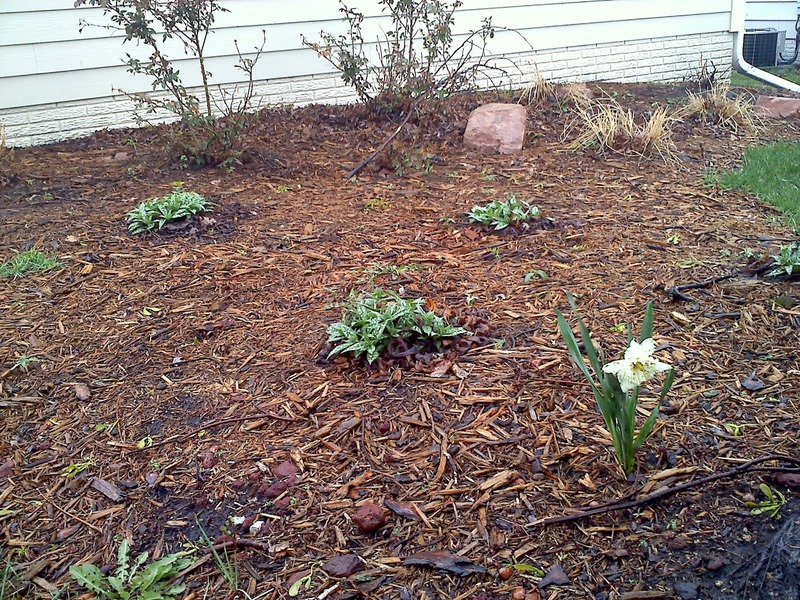 I think Spring and Summer tend to inspire some much needed hopefulness in all of us. Such a petty post. It's so important to remember to notice and appreciate all of the wonderful little things in life! !